Finally after much anticipation the loyalty program is now operating. 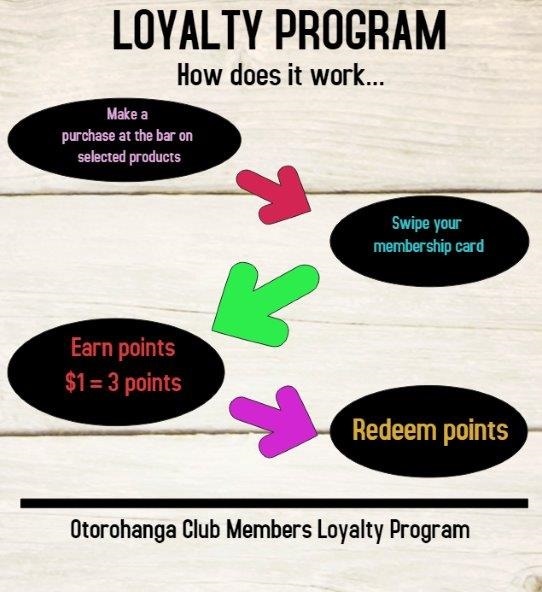 The loyalty point system will benefit all members when they make a purchase of selected products at the bar. Loyalty points will be rewarded every time you swipe your membership card on payment. For every $1 you spend you will receive 3 points. NO card - NO points. Points can be redeemed at any time when you have accumulated enough to spend.